Triangle Holstein selects the animals according to every farm’s necessity (meat aptitude or milkmaid aptitude). The selection is being done at the proper farm “in situ”, checking every single animal being bought. Most of the imported animals come from the French Bretagne, and also but less come from Holland, Italy, Ireland, Switzerland and Denmark. Triangle Holstein offers an individual program of feeding, training , clipping and preparation to the show ring. We are present in the most important competition of the word: World Dairy Expo (Madison-Wisconsin), Royal Winter Fair (Toronto), Space (Rennes-France), Salon de l'Agriculture (Paris), RNM Zwolle and HHH Utrech (Holland), Swiss Expo Lausanne and Expo Bulle (Switzerland), Mostra Nazionale d’Italia (Cremona), Dairy Expo ( Verona & Montechiari), Concurso Nacional de Primavera / Otoño CONAFE, Semana Verde Galicia, etc. Triangle Holstein offers technical and personalized service service in sire mating. Always bearing in mind bulls genetic indexes from one side, and from the other side the morphologic analysis of the cows, in order to find the best bull for every single cow, as to reach the production target and the morphologic improvements. We have a large selection of north American and Canadian bulls. 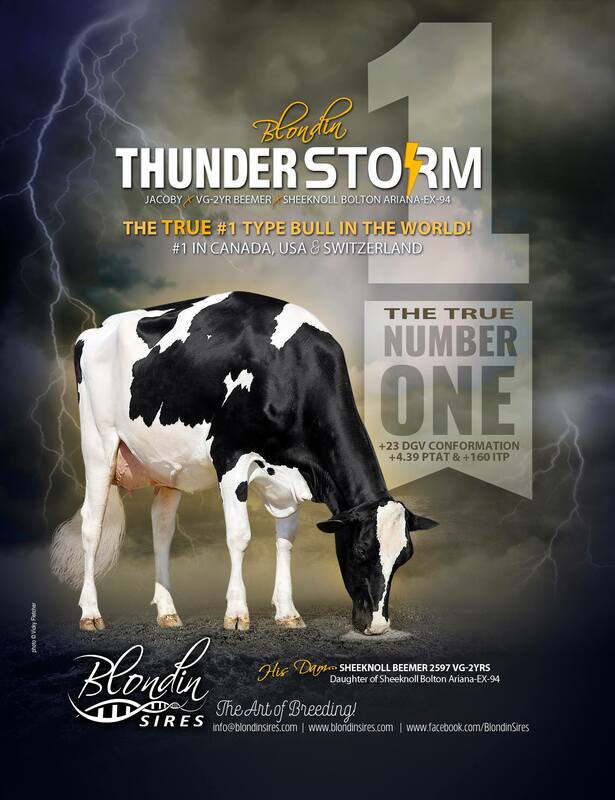 We are the exclusive distributors of Jetstream Genetics and Blondin Sires. We also have an accurate selection of ST Genetics bulls available. Here are some of the highlights from the December 2018 Sire Summary.